Lane Motorsport has available a comprehensive package of 8STA compatible accessories made by HellermannTyton and Weald Electronics. These include newly designed nut plates, protective caps, gaskets and heatshrink boots – all designed to meet the demanding environments found within the autosport sector. 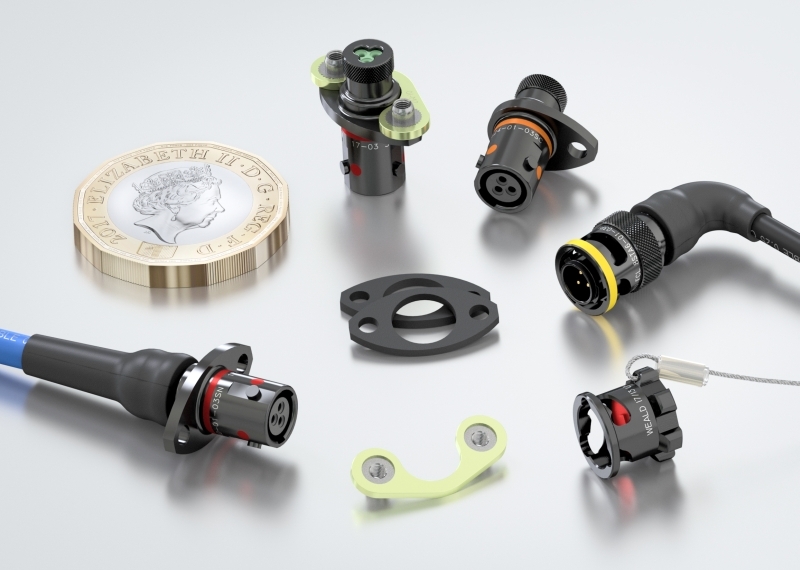 According to Business Development Manager Peter Costin, Weald’s 8STA connector accessories will be used right across the World of motorsport. Weald’s recently introduced lightweight caps are as much as 40% lighter than standard autosport caps with the new design making it easier to mate and unmate. Sealing is to IP67 and they are available with and without a lanyard. They are available in shell sizes from 01 to 24 in both receptacle and plug formats. Weald has also redesigned the nut plates to make them lighter and has profiled them to better mirror the shape of the connector flange. Like the protective caps, Lane Motorsport has these nut plates to suit shell sizes 01 to 24. A new single flange nut plate saves even more weight. The gaskets are only available in high-temperature materials for shell sizes 01 to 24. Lane Motorsport is now HellermannTyton’s biggest distributor of moulded boots and shapes for the autosport/motorsport market. Lane Motorsport’s stockholding of HellermannTyton products includes most common part numbers available from stock. We stock standard boots, glue lined boots, high temperature boots for fuel tank applications, both straight and right-angled variants and the very popular VG950 twin pack epoxy used to glue standard boots. Lane Motorsport is also the sole distributor to stock the new very small boot used on the tiny Size 1 8STA Souriau connector. Weald Electronics is also modifying 8STA connectors to save even more weight and space. This includes the increasingly popular single flange receptacle and the removal of the rear knurl when connectors are used inside a box / sensor and no boot is required. The comprehensive motorsport interconnection package is available to specify and purchase online. A truly international audience totalling more than 7000 attended this year’s Professional Motorsport World Expo in Cologne. 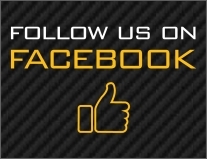 PMW is strictly for autosport / motorsport industry professionals and is not open to the general public. It covers almost every facet of autosport showcasing the latest products, technologies and services. As you can see from the picture, Lane’s Peter Costin was on hand to discuss our impressive portfolio of Souriau 8STA connectors and motorsport connector accessories from Weald Electronics and HellermannTyton which together makes up a comprehensive interconnection package for the motorsport sector. These include motorsport heat shrink boots from HellermannTyton, as well as ultra-lightweight protective caps, nut plates and gaskets from Weald Electronics and other connector accessories needed to complete the application. A major attraction was the Size 01 ultra-miniature shell 8STA Series connector and accessories. Based on the proven 8STA format, it is 20% smaller than shell size 02, features #26 removable contacts and handles 24 to 30 AWG wire. 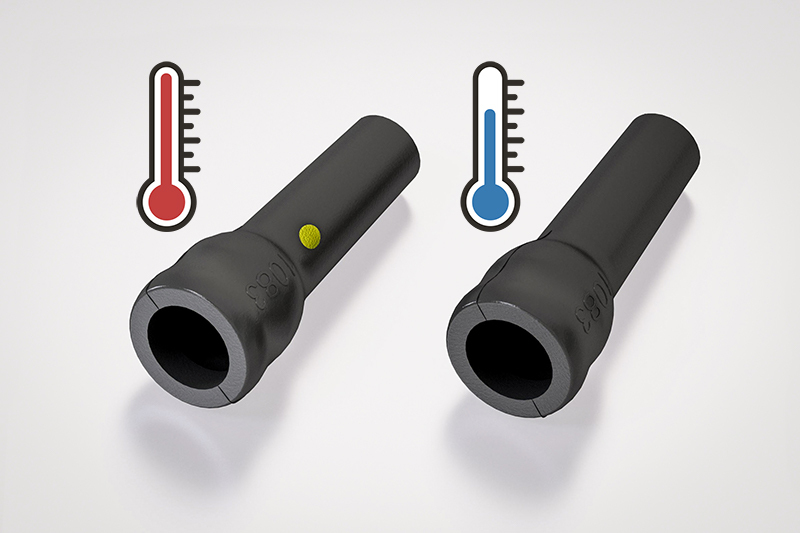 Featuring a rugged aluminium body plated with conductive black Zinc as standard, these 8STA connectors incorporate a positive locking mechanism with locked colour indicators. HellermannTyton’s size 01 heat shrink boots are exclusively available from Lane Motorsport. Available in straight and 90⁰ versions, these heat shrinkable, strain relieving boots for backshell to cable transitions are adhesive lined and made from fuel-proof material. We have made available hermetically sealed versions of Souriau’s high performance 8STA circular connectors. Designed with a glass to metal insert dedicated for fuel tank installations, the hermetically sealed connector features excellent resistance to fluids and racing fuels, and withstands pressure differential without any loss of electrical performance. With a stainless steel shell, these connectors offer excellent resistance to shock and vibration along with an very wide operating temperature range. When mated, the connector is sealed to IP67 and its low-profile design makes a heat shrink boot easy to fit. These hermetically sealed connectors are often used in tandem with Souriau’s 8STA fuel immersible connectors. These incorporate a special fuel resistant insert which allows continuous immersion without loss of electrical performance. Included in the Souriau 8STA hermetic connector product range available from Lane Motorsport is the smallest circular 5-way PC tail connector currently available on the market. Weighing just 3gm and featuring a stainless steel shell, this size 02 hermetic connector is designed specifically for motorsport sensors where it can be welded to sensor bodies. Like all Souriau 8STA connectors, it features a fast and secure bayonet locking system which features the security with an audible click. As a Souriau assembling distributor, Lane’s Motorsport Division can assemble and deliver practically any type of 8STA connector to customer requirements on very short lead times. Once again Lane Motorsport will be at the Autosport Engineering Show (stand number E391) at the NEC in Birmingham where we will be showcasing our comprehensive portfolio of 8STA connectors and accessories. This will include the tiny shell size 01 8STA Series which is becoming widely used throughout motorsport thanks to its weight and space saving characteristics combined with high performance. The Autosport Engineering Show brings together the latest motorsport technology and components on the eve of another racing season. 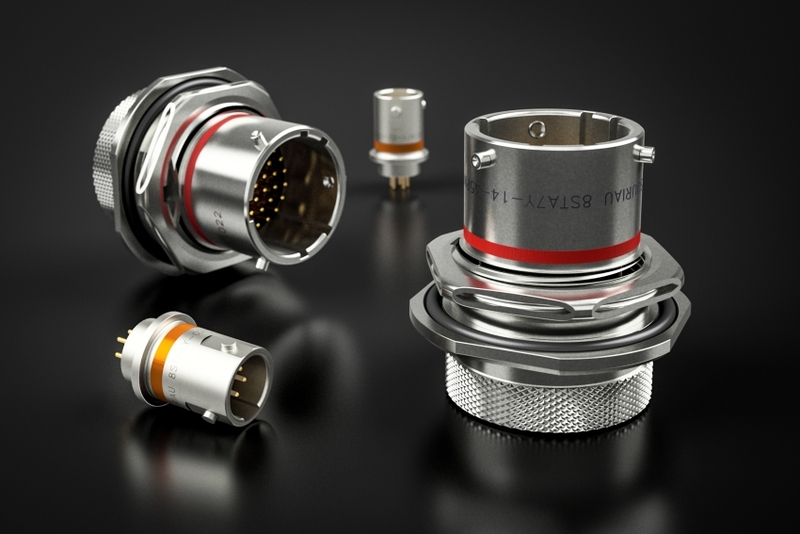 Experts from Lane Motorsport will be on hand to discuss circular connectors from Souriau’s 8STA Series, along with a comprehensive selection of connector accessories. These include heat shrink boots from HellermannTyton, as well as protective caps, nut plates and gaskets from leading connector manufacturer Weald Electronics. We also have all the assembly tools needed to complete the application. This all makes a comprehensive motorsport electronics and electrical connector package which is also available to specify and purchase online in our e-commerce store. A major attraction will be the ultra-miniature shell size 01 8STA Series connector from Souriau. Based on the proven 8STA Format, it is 20% smaller than shell size 02, features #26 removable contacts and handles 24 to 30 AWG wire. 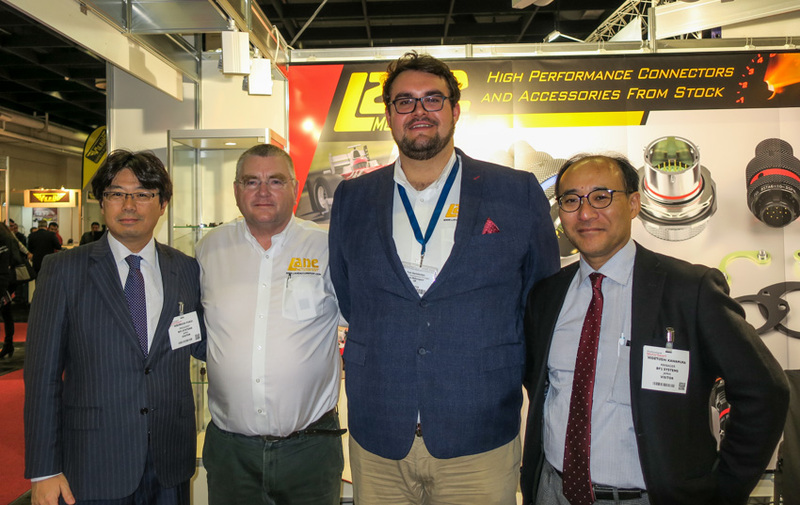 So for the latest motorsport connector solutions visit our stand or if you would like to arrange an appointment beforehand, please contact us by emailing motorsport@fclane.com or calling us on +44 (0) 1403 790 661. Lane Motorsport will be at Professional Motorsport World Expo 2017 for the three days from 15 November in Cologne. We will be presenting the latest circular connectors from Souriau’s 8STA Series along with a comprehensive range of accessories from HellermannTyton and Weald Electronics. These high-performance products complete a comprehensive motorsport interconnection package which customers can specify and purchase online. Souriau’s high performance 8STA compact circular connectors are used extensively throughout all levels of motorsport in applications ranging from engine control units, batteries, communications equipment, data acquisition systems and harnesses. 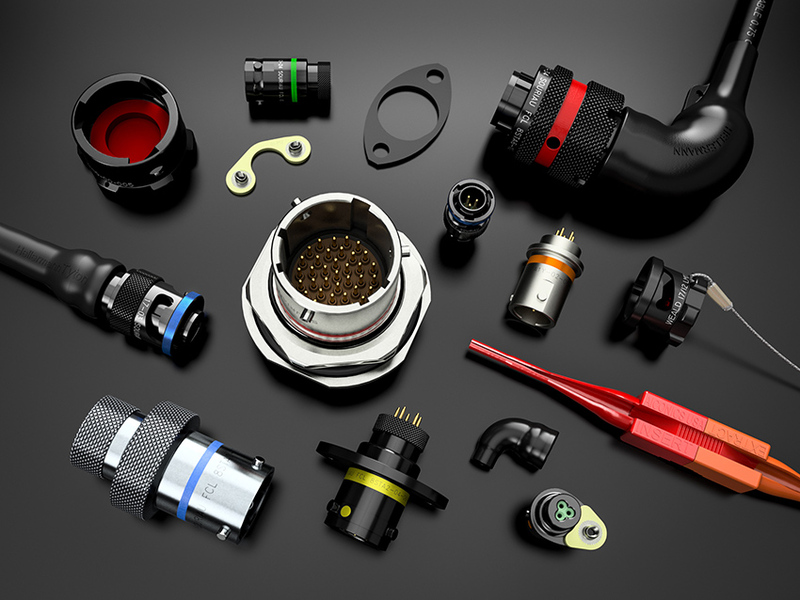 Lane Motorsport is certified to assemble Souriau circular connectors and holds extensive stocks of 8STA piece parts and accessories allowing the company to provide connector solutions to meet a customer’s precise requirements on very short delivery times. One highlight of stand 5086 will be the recently announced ultra-miniature shell size 01 8STA Series connector – It has to be the smallest connector with the biggest performance. Based on the proven 8STA Format, it is 20% smaller than shell size 02, features #26 removable contacts and handles 24 to 30 AWG wire. 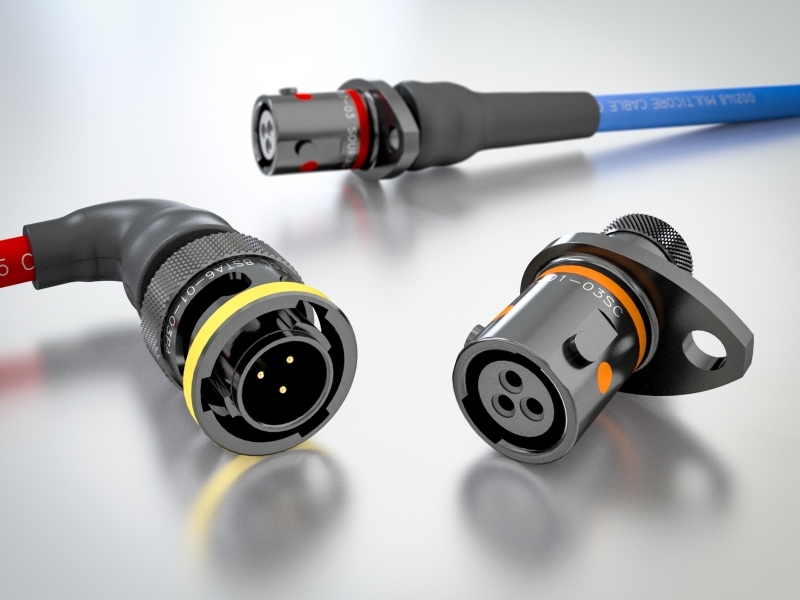 Alongside this exciting new 8STA connector, we will be showing a comprehensive range of compatible shell size 01 accessories – protective caps, gaskets, nut plates and heat shrink boots – as well as all the assembly tools you’ll need. On show for the first time and exclusively available from Lane Motorsport will be HellermannTyton’s Size 01 heat shrinkable boots designed for weight -saving applications where insulation, component protection and strain relief are key requirements. Both standard material and high temperature material boots are available with the high temperature boots specially marked with an identifying yellow dot. They are manufactured from flexible flame retarded fluoroelastomer capable of continuous operation in the temperature range of -55 to +200°C. Designed to meet the requirements of MIL-81765/4, DEF Stan 59-97 and BSG198 Part 5, the heat shrink boots also feature excellent resistance to chemicals. Adhesive lined variants are also available. These are tiny heat shrink boots made by HellermannTyton and designed for applications where high temperatures are involved. Available exclusively from Lane Motorsport, the new high temperature, heat shrinkable boots are identified, at Lane’s suggestion, with a yellow dot to differentiate them from the standard product offering. According to Lane Motorsport’s Peter Costin, the unique yellow dot marking allows users to instantly identify the high temperature L material version from the standard G material product during assembly. These HellermannTyton Size 01 heat shrinkable boots are designed for weight -saving applications where insulation, component protection and strain relief are key requirements. They are manufactured from flexible flame retarded fluoroelastomer capable of continuous operation across the temperature range of -55 to +200°C. Designed to meet the requirements of MIL-81765/4, DEF Stan 59-97 and BSG198 Part 5, the heat shrink boots also feature excellent resistance to chemicals. A glue lined version is also available. Lane Motorsport plans to extend its yellow dot marking to all sizes of high temperature boots over the coming months. The new boots are part of HellermannTyton’s heat shrinkable moulded shape portfolio which combine the advantages of quick, easy installation with high electric strength, mechanical toughness and superior chemical and environmental resistance. Sam’s main problem was lack of power after having to scrap his superbike motor and replacing it with a “stocker”. “I must’ve been 30bhp down on some of the bikes and this was proven by the speed trap results, so I knew my only option was late braking everywhere.” Says Sam. 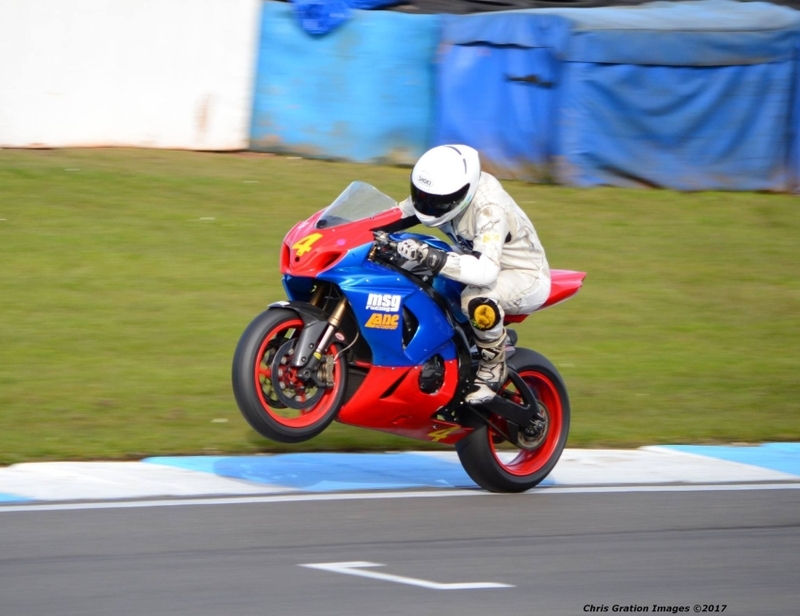 Sam was happy to qualify 15th overall and 3rd in class – not bad at all for one of the slowest bikes out there. Sam got a good start in Race 1 – up to 9th overall and 1st in class. “The bike felt really good and I soon found my rhythm, putting in consistent 1.13’s and holding my own. Then bikes started coming past me on the back straight like I was standing still, which was so frustrating as I knew I was faster than them in the corners, this meant I had to push myself on the brakes. When they came past me on the straights I’d manage to re-pass them back on the brakes.” Says Sam. On lap 11 just as he was deciding to settle for 2nd in class coming into Coram I bottomed out the forks and tucked the front on the right just before the final left. Luckily the bike and I weren’t too bad – or so we thought. After working on the bike the night before Race 2, she was ready to go. The race was damp with a decent dry line, which didn’t stop Sam from having a few “brown pants” moments on the damp stuff, but he got a good start again and was up to 8th overall and 1st in class. 3 laps in disaster struck and he had what looked to be a blow up on the start/finish straight. “As I tipped into Riches the back came round so I sat it up, went straight on and unfortunately couldn’t hold it up on the grass. This was a big off for me at a very fast part of the circuit, of which I feel lucky to have walked away with only concussion and a few other bumps.” Sam recalls. For Race 3, Sam’s K9 was a no go, so the team let him have a go on the “beast” (K3 superbike). Sam had ridden this before so felt confident he could push from the off, this time having the straight-line speed to match the top boys. During the warm up, he noticed a strange weaving when he tipped into corners so he didn’t push and came home 9th in class and second from last overall. Sam later discovered his bike hadn’t gone bang and in fact crash 1 had led to crash 2. When it went down on the right-hand side in Race 1, it bent the oil feed pipe, which pushed the hoses leading to the radiator onto the downpipes, which then led to the downpipes melting through the hoses causing the oil to leak out and cover the back wheel. Sam’s final words – “To say I’m disappointed would be an understatement. It could’ve been a great weekend with some comfortable podiums. I am really in need of some luck at the moment. I also think without this missing bhp I’m sure I could’ve taken another second off my lap time. “Anyway, I did take away some positives. I’ve never felt so comfortable on a race bike before. My K9 gives me so much feedback and is great fun to ride. Every time I ride it I feel like I learn something new and can push that little bit more in places. SMALLEST CONNECTOR – BIGGEST PERFORMANCE! We are really excited to be the first to bring you details of the new ultra-miniature shell size 01 8STA Series connector from Souriau – It’s certainly the smallest connector with the biggest performance. Alongside this new size 01 8STA connector, Lane Motorsport is bringing you a comprehensive range of accessories – ultra-lightweight protective caps, nut plates and gaskets, and heat shrink boots – as well as all the assembly tools you’ll need. In short, it’s a complete high performance, ultra-miniature interconnection package designed to satisfy your demanding applications in autosport / motorsport, military and aerospace, UAV, sensors and so on. Size 01 Heat Shrink Boots from HellermannTyton – we are the only distributor for these Worldwide! In his own words, Sam’s second event of the season did not go according to plan! 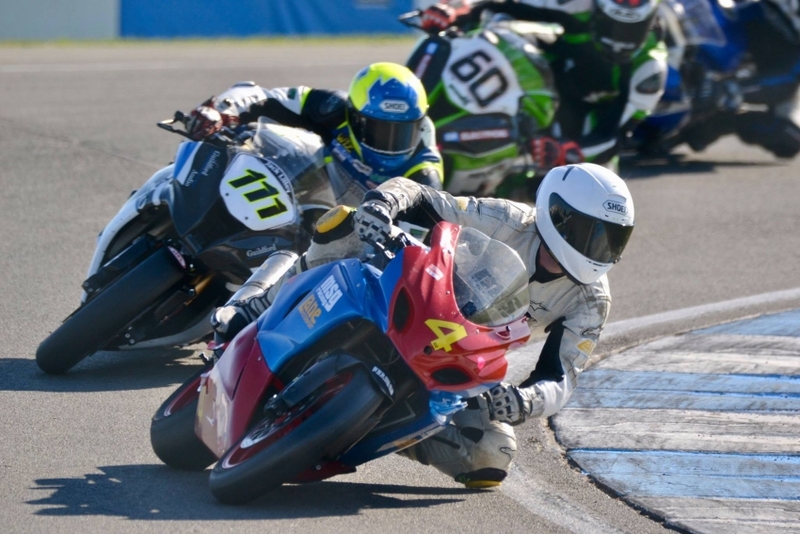 This time it was the turn of Donington Park to host the Thundersport GB Motorcycle Club – the first bike races of the circuit’s 40th anniversary season – where the schedule of 38 races and more than 390 racers provided great entertainment for the crowds. 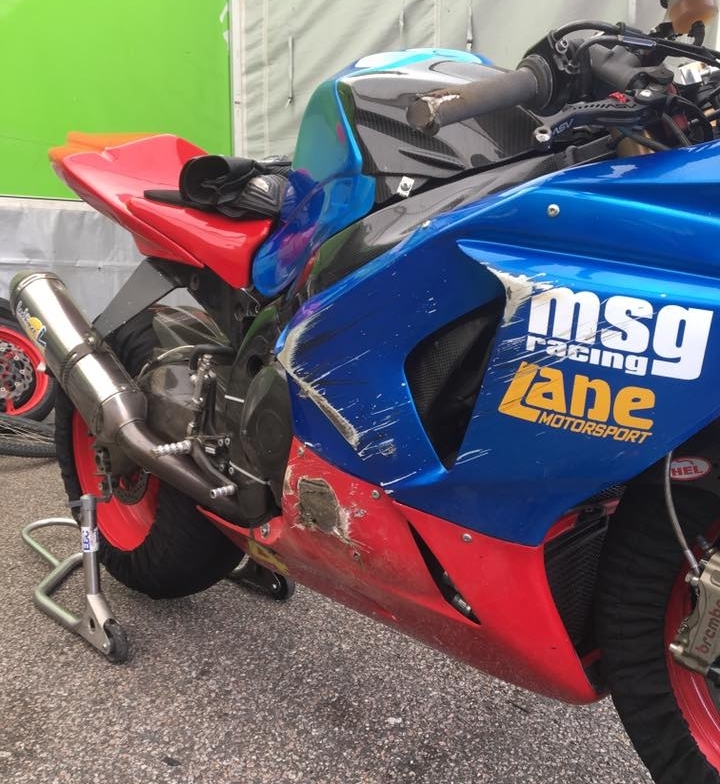 For our sponsored rider, Sam Osborne, qualifying was not the perfect start to the weekend. Hampered by bikes issues, he qualified 19th. In Race 1, he got a really good start and moved up to 8th and 1st in class with things feeling good. After 10 laps and continuing to push hard, he managed to out brake himself at the notorious Foggy Esses, the left-right flick at the end of the main straight. Sam had to run straight on, turn around and then wait to safely rejoin. This put him back to 17th and 4th in class. Sam describes his start in Race 2 as an absolute nightmare losing a few places. But he picked his way through the pack to finish 18th overall and 6th in class. Another poor start in Race 3 was followed by an enjoyable race with his team mate Sam Mcfarlane. Sam finished 15th overall and 5th in class. 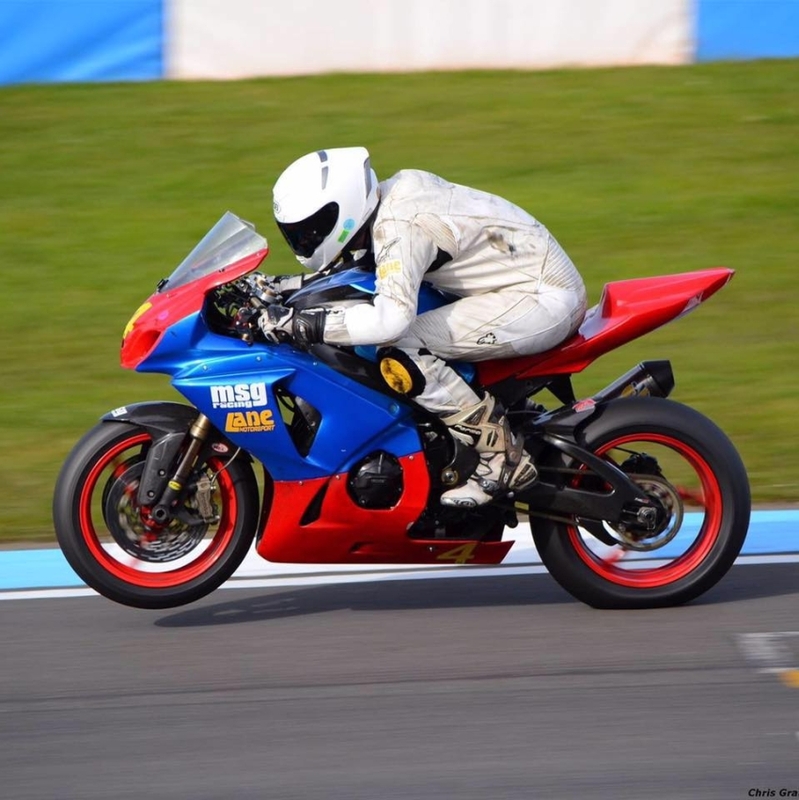 According to Sam and his MSG Racing team, there is still a lot of work to do on the bike which they hope will be completed by the time Thundersport GB turns up at Snetterton in a month’s time. Lane Electronics offer a specialist service for motorsport connectors under the banner of Lane Motorsport. We are an official distributor for Souriau’s wide range of high performance electrical connectors designed specifically for the harsh environments found in all types of motorsport. Souriau’s 8STA circular connectors push the boundaries when it comes to contact density, miniaturisation and weight reduction. Now available assembled to order at Lane Electronics, they are designed specifically to withstand shock, vibration, corrosive fluids and temperature extremes, typical of the environment found throughout all forms of motorsport including Formula 1, Indy cars, GP2, World rally cars, endurance racing including Le Mans 24 hours, as well as World Superbikes and Moto GP. Sam’s comeback weekend starts with bike issues – ends with many positives!! The weekend started with a test day and is was definitely, well, testing!! Sam managed just one session as persistent bike problems and bad weather took their toll. 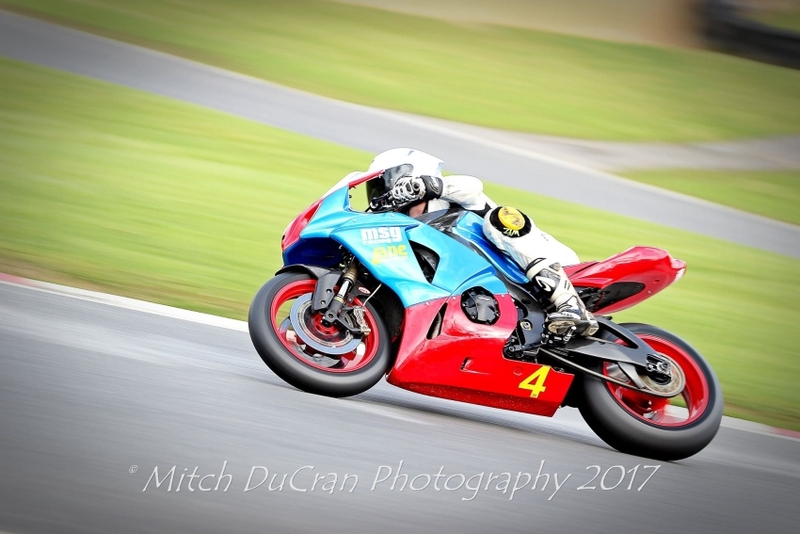 Sam’s new bike, a Suzuki GSX-R 1000 K9, suffered with oil and water leaks as well as a failing quickshifter and it was left to Sam’s team-mate Gav to get everything sorted for qualifying. Sam qualified – 25th after just 3 laps as his gear link snapped leaving him with no gears. 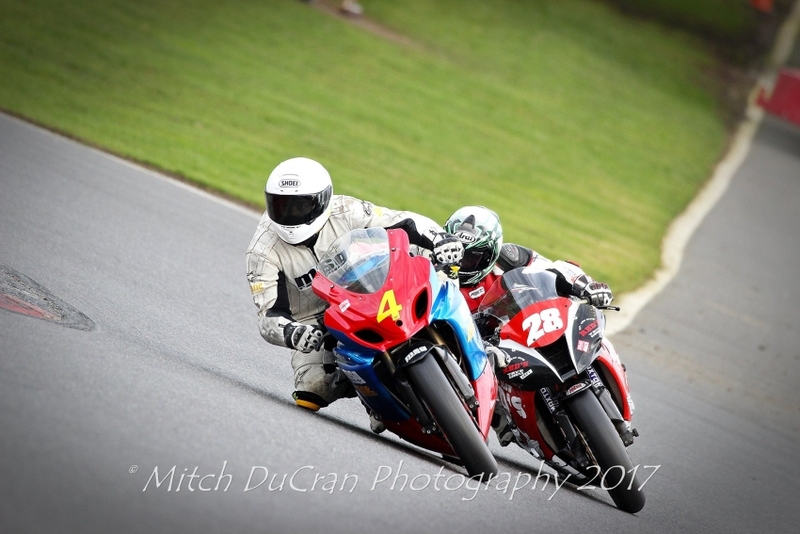 Regular readers will know that several classes of bike line up for each of the three races including Sam’s Thundersport GP1 Sportsman class. After a tentative start in Race 1, Sam began to “find his rhythm” and ended 5th in his class and 15th overall. Because of damp conditions in Race 2, Sam gambled with a wet front and dry rear tyre. Although it provided “some interesting moments” the gamble paid off and Sam finished 2nd in class and 11th overall. Race 3 was another damp race and for reasons known only to himself, Sam decided to use a tinted visor which meant he was unable to see the damp patches. Despite this, he finished 5th in class and 10th overall. Sam has told us that he is so happy to be back racing after his head injury. “To be honest I just wanted to get through the weekend without a crash.” He says. “My 1000cc bike is going to take some time to get used to, but I feel like I’ve already got a great connection with it and Brands Hatch has been a great step in the right direction.